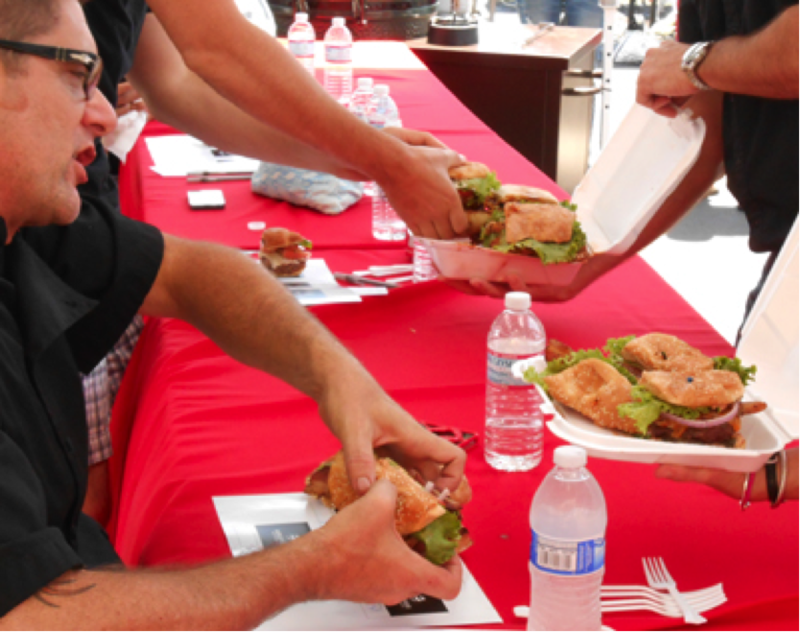 The San Diego Burger Battle — a qualifier for the World Food Championships — is scheduled to take place on Saturday, August 8th from 11:00 a.m. am to 3:30 pm at 1144 Los Vallecitos Boulevard in San Marcos. 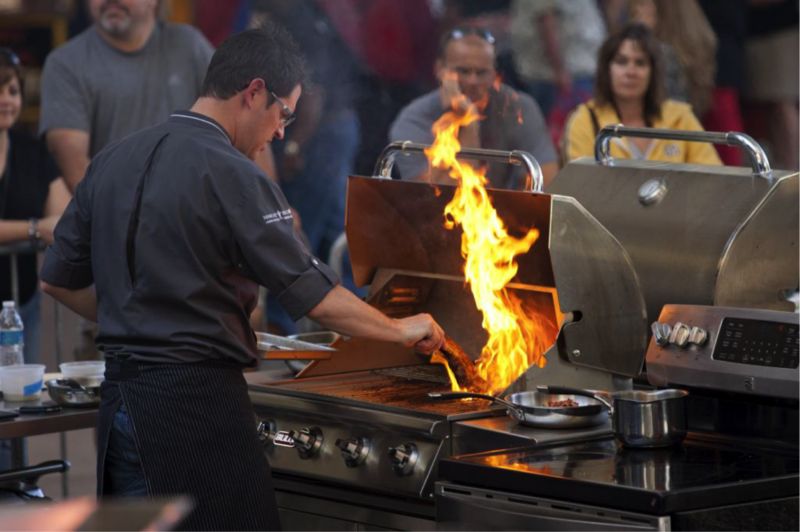 Amongst the competitors will be professional chef luminaries such as Hanis Cavin of Carnitas Snack Shack and Andre Morris from the Rockhouse Bar in Las Vegas to big names on the BBQ competition circuit such as Dennis McGrath of the Porketeers. 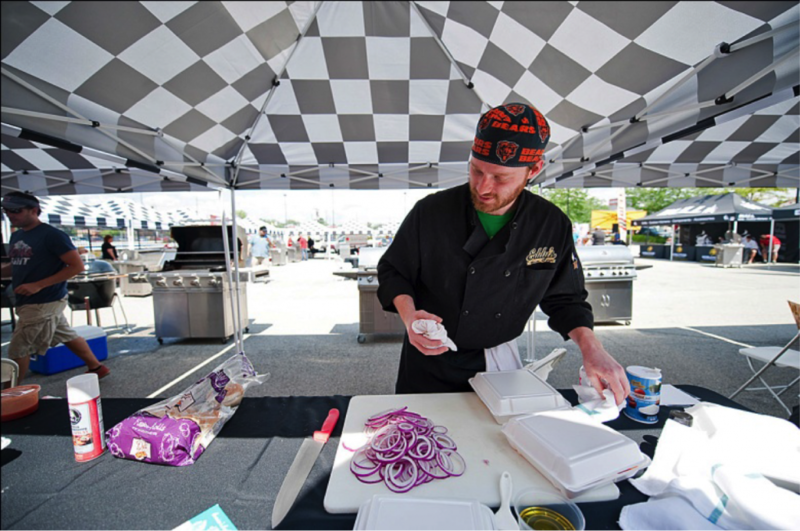 Judges for this year’s competition include last year’s winner, Kelly Lucas-Shippey, and Bull BBQ owner Mark Nureddine. There’s also a certain writer for San Diego CityBeat, L’Chaim San Diego Magazine, and this blog: me, Michael A. Gardiner. The winning competitor gets the title of Best Burger in San Diego, a new Bull Angus Grill Cart and an all-expenses paid trip to compete for their share of $300,000 at the World Food Championships in Florida. Organizers want a crowd and so attendees get a shot at some of the goodies too, including a new Coleman grill cart and grilling gear and accessories. One audience member will even win a trip to Florida to watch the World Food Championship event.